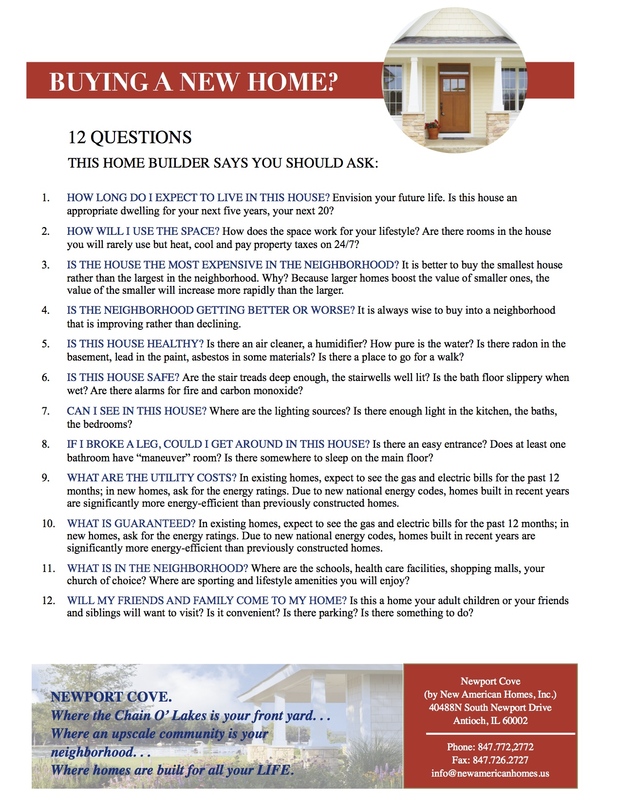 12 Questions to ask when buying a new home. Click here to download and print the PDF. Interesting in the subdivide. Currently looking into homes on the lake and/or lake access. Are there current lots and or homes for sale? Also, what are the property taxes ranging from on the current homes?